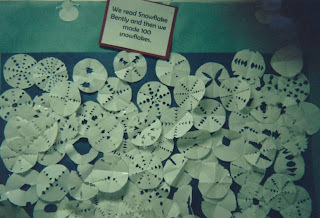 "There's No Flakes Like Snow-Flakes"
We read the book Snowflake Bentley and made 100 snowflakes on the 100th day. 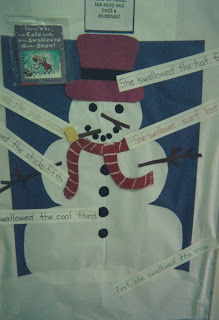 The Snowflake Sisters by J. Patrick Lewis is also a great book to use with this activity. 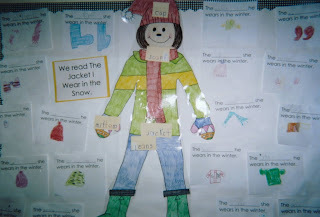 based on the book "The Jacket I Wear in the Snow"
We read the book "The Snowy Day." 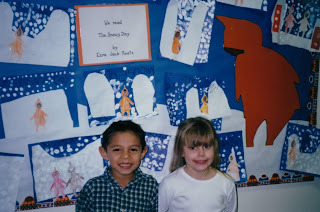 I have, also, had the kids make a class book based on The Snowy Day. 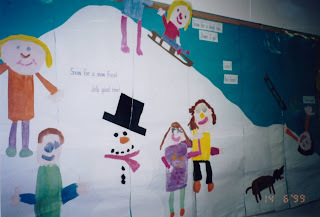 They made these pictures, but wrote or dictated a sentence about what they would do on a snowy day. 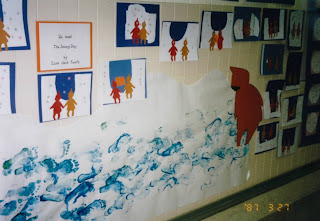 We read The Mitten by Jan Brett. 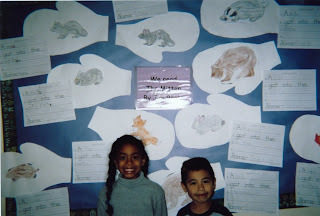 Students drew and animal on their mitten and wrote a sentence about what animal got into the mitten. 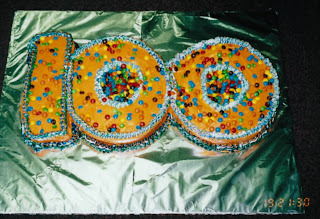 Ok this is a little off topic but I saw your posts on the 50th and 100th days of the year (LOVE it btw) but do you have any ideas for the last day of school/graduation ideas? 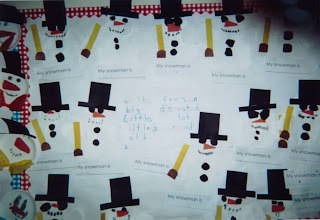 I do have a few ideas. 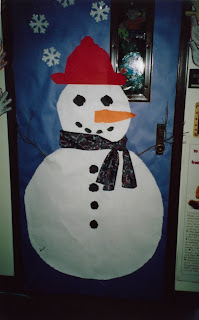 I will pull them out when I get back to school next week and post them. Thanks for asking! Hi! 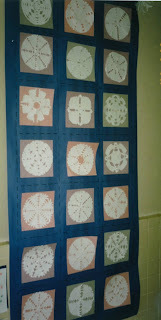 I'm stopping by to let you know that I loved your craft and I featured it on my Snowy Day unit round-up! 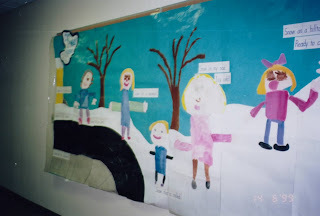 Come by to see the post here: http://maros-kindergarten.blogspot.gr/2013/01/blog-post.html I would love your feedback!